Welcome to the first of several July giveaways here! Make sure you subscribe to the blog and stay tuned on facebook so you know when each giveaway begins! This week, enter to win a pack of glistening paper accessory sheets from Lake City Craft. This pack of paper includes 12 sheets. Two each of the following colors: yellow, sunset, red, violet, aqua, and green. The papers are bright, shiny and smooth. 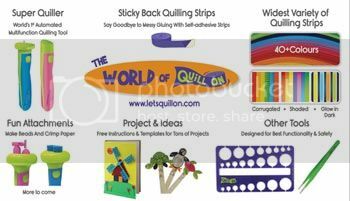 Excellent for making greeting cards, cutting your own paper quilling strips, or any other paper craft you have in mind! The sheets are 8 1/2″ by 11″. This giveaway is open worldwide! Not all of the giveaways this month will be open worldwide, but this one is, so make sure you take advantage! The giveaway runs through July 7th and the winner will be announced within a few days after that. There are many ways to enter, so have fun! Love your blog – fun and educational! My fingers is my favorite tool at the moment! I like to use half pearls for flower centers. I really love the metallic or jeweltone colors. 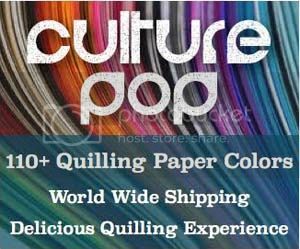 I am new to quilling and have not tried many types of paper yet but I do love Quilled Creations Border Buddy. I love the Lake city craft’s touch of gold and touch of silver collection in quilling paper (bought from your store). your blog is fun and informative. all your work so beautiful. I’m still new to quilling so I really don’t know which is my favorite accessory for making quilled art. Your Blog is really amazing. I love your jewellery designs. I am already a member in your Facebook page also. Thanks for leaving your valuable comment in my blog. Being a new blogger it means a lot to me.